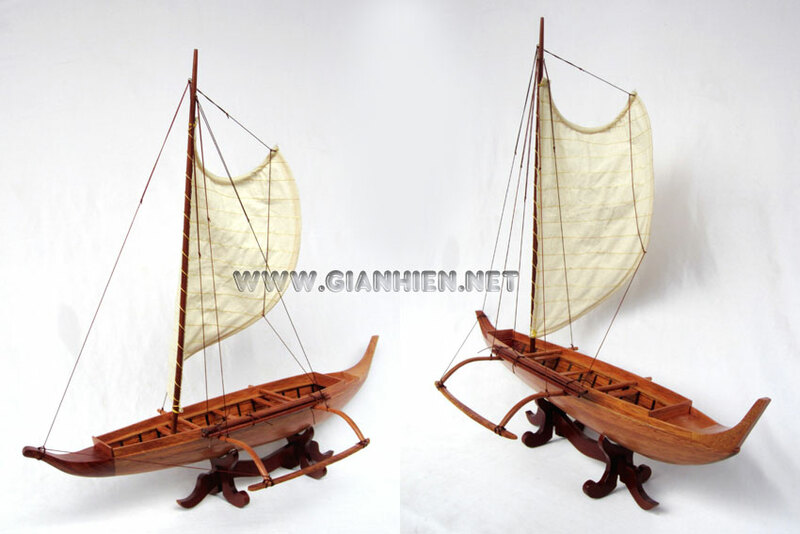 Model is handcrafted from hard wood with planks on frame construction a the original construction. Models comes with a base like shown photos. 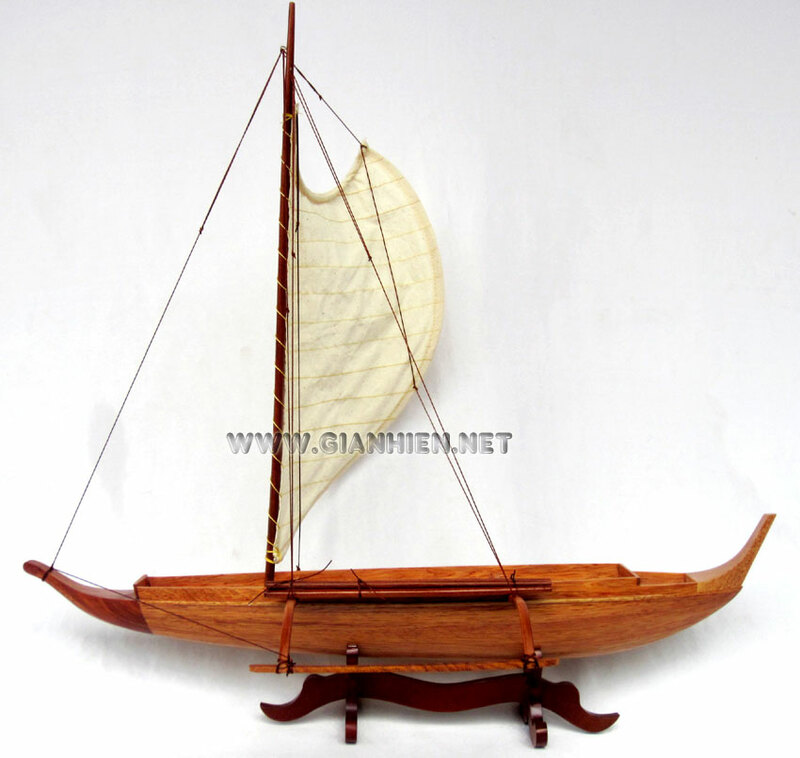 A part of everyday life in coastal villages, canoes were used for fishing, travel and exploring the shore. Faster than a foot or donkey trail over rough lava, canoes were the quickest way to get up and down the coast. 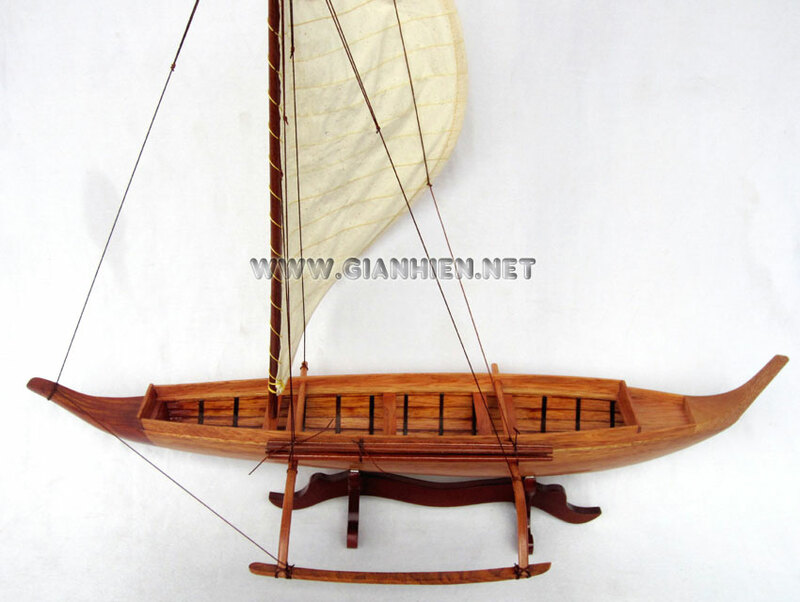 The single-hulled outrigger was ideal for near shore fishing. 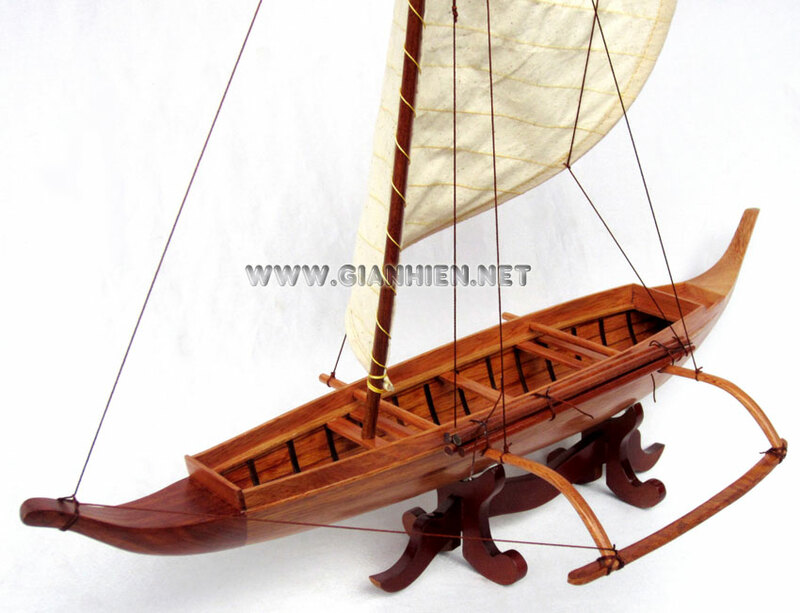 Canoes were typically 15 to 24 feet long with a single float on the port side for stability. With a one and a half-inch thick hull, a 24-foot canoe weighed less than 50 pounds, making for easy handling. 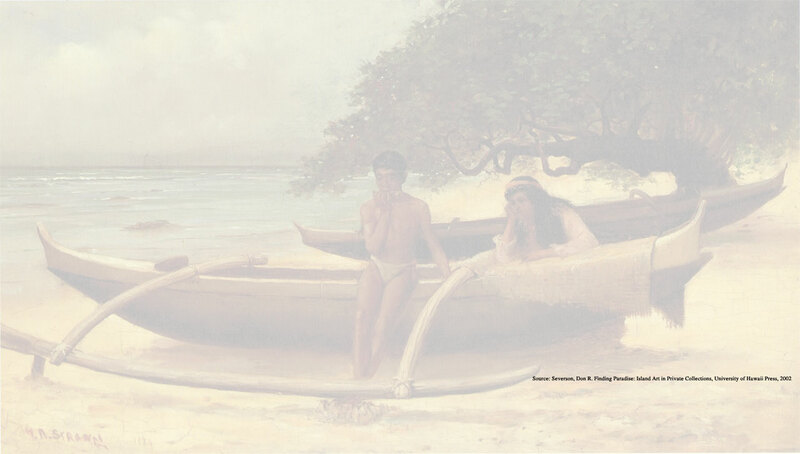 Canoe making, like other Hawaiian undertakings, involved much spiritual preparation, ceremony, and prayer. After prayer and ritual, craftsmen selected a tree for the hull, generally koa, then used stone adzes, chisels, and files to shape the boat. 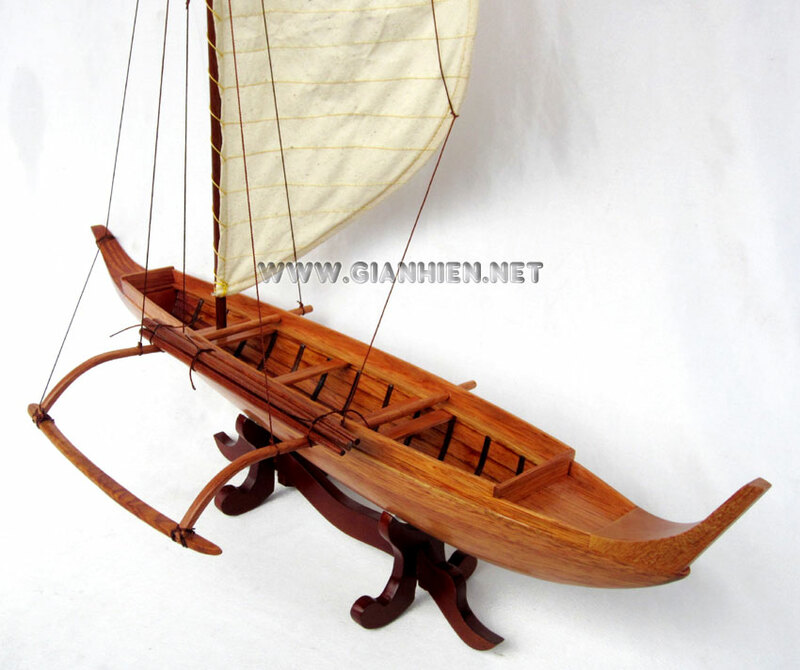 Booms were made of hau wood and the ama, or float, was shaped from wiliwili, the lightest, most buoyant wood, or from hau. Other components included fish spear racks, paddles, bailers, ropes, and anchors.